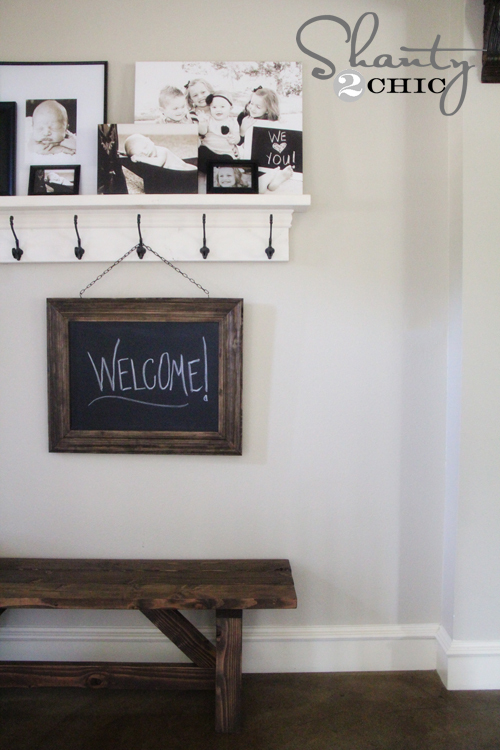 Regardless of what your style is, adding a chalkboard to your decor is always a fun idea. 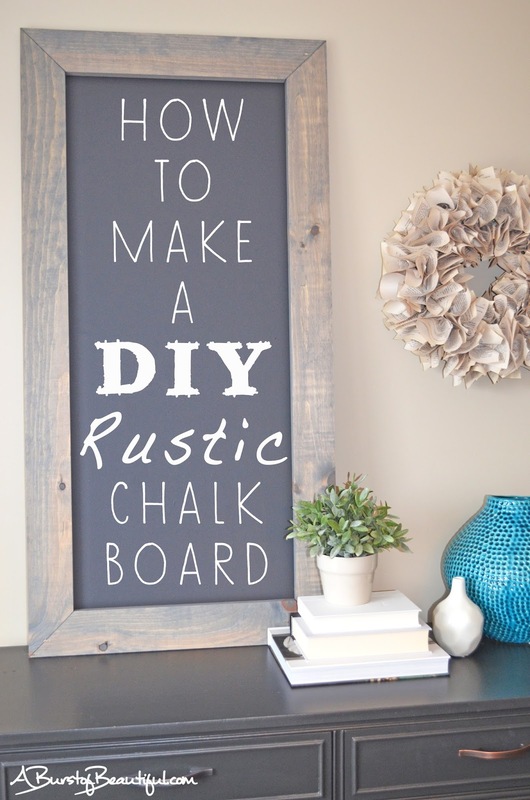 I like a more rustic, earthy vibe and the chalkboard idea fits right in. This week's Friday Favorites touches base with a few ideas that you could place around your home and DIY so it saves money, too! This is a gorgeous and rustic calendar that was made by Janet from Garnished Home. It is fun and functional! You can find this project at Dan 330. The tutorial shows you how to make it and offers a few photos on where you could put it. I really like the way it looks on a blank wall in a hallway. Erin from Meadow Lake Road offered a home tour and this beauty was featured. I love the boxwood wreath! So pretty! I really like the distressed frame on this chalkboard. It's something different from the typical wood-frames you see. You can find this over at Sweet Something Design. If you visit Pinterest often, you've probably seen a bunch of projects and beautiful home pictures from Shanty 2 Chic and this is one of them. The whole space is pretty, but I love that sign. It looks better hanging from a sting. Thanks for joining me this week! Happy weekend! 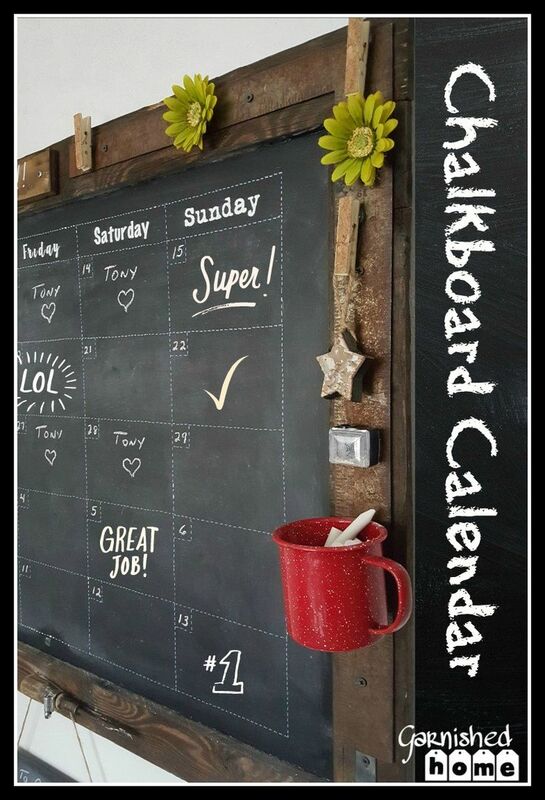 These are great...now if I could just get my chalkboard writing down to an art! Thanks for coming by and sharing at Celebrate Your Story! What fun ideas and beautifully presented too! I was excited to see your post because I just love chalkboards Funny... I just wrote a post on a few of my own favorites. Great ideas you featured. 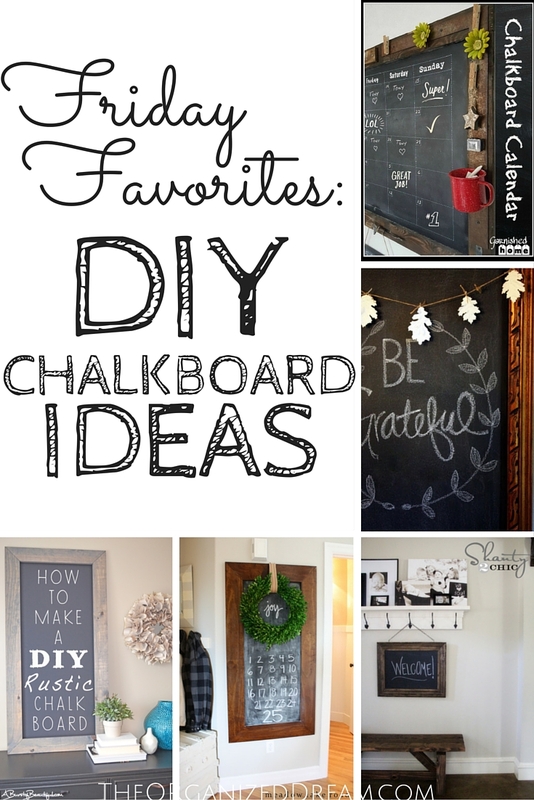 I love all the different chalk board ideas!! But I'm like Cloe above...my writing skills are limited!! Thanks for sharing on My 2 Favorite Things on Thursday - Link Party and hope to see you again this week! Pinned!